Better known as “Zury” in the community, Ms. Librada Brown was born in Cataño, Puerto Rico amid modest beginnings. She moved to Rochester 27 years ago and worked with the Rochester City School District for 19 years. During that time, she started her food business part-time as an extra income, participating in the Puerto Rican Festival as a food vendor for 10 years. On May 2008, Ms. Brown opened El Pilon Criollo, a family restaurant offering take-out and catering services of fresh, flavorful Hispanic food at affordable prices. In July 2013, she relocated El Pilon Criollo to a new larger facility, within a block from their previous location. With this, Zury Brown became the first Hispanic woman to build her own restaurant from the ground up on North Clinton Avenue, reviving the community with its first new construction in more than 12 years, on a lot that had been vacant for over 15 years. 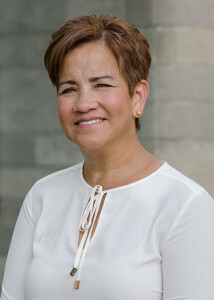 Ms. Brown received a Certificate of Recognition from The Rochester Latino Rotary Club in 2013, enlisted in their Honor Roll of Latino Entrepreneurs. Her business El Pilon Criollo has been selected “Business of the Year” by Sam’s Club on 2011 and 2015. Truly involved with her community, Ms. Brown regularly sponsors local groups and events, including El Pilon Criollo little league baseball team, El Pilon Criollo bowling league, the Miss Puerto Rico of Rochester Cultural Pageant, the Walk Against Domestic Violence, and for the last 5 years she has been a sponsor and volunteered as a sous chef for the East High School Iron Chef Competition. Ms. Brown has helped create jobs while providing an excellent service and supporting her community. She has shown that a Hispanic businesswoman can make her dreams come true and “beat the odds” through perseverance, hard work, and the help and support of some wonderful people in our community.